Email Sign Up (event sign up app for Android) version 1.8 is now available on Google Play and Amazon. 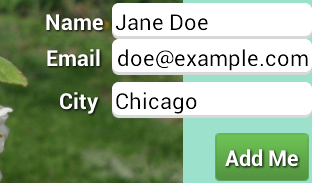 This app allows collection of names, email addresses, phone numbers and up to two additional custom text fields. The newest version of Email Sign Up allows you to view the names and email addresses that have been collected directly from the app. If you would like to offer an incentive to new subscribers, such as a raffle or door prize, the app provides a “pick a random name” feature. Why use paper based forms when you already own an Android tablet? Choose your own background image and let people sign up. The data is stored in a widely used machine format, CSV (or comma separated file). This CSV file is easy to import into other programs such as excel. Let’s say you are a bee keeper and your are giving an introduction to bee keeping talk. You would like to let interested people subscribe to your club’s email list to learn more about the joys of keeping honey bees. As an incentive you are offering a free bottle of honey to one new subscriber. As you are giving your talk, you can pass your tablet around the room. After you are done speaking, you can view the list of people that signed up. With the click of a button, you can pick a random name to give the sweet reward of honey to. 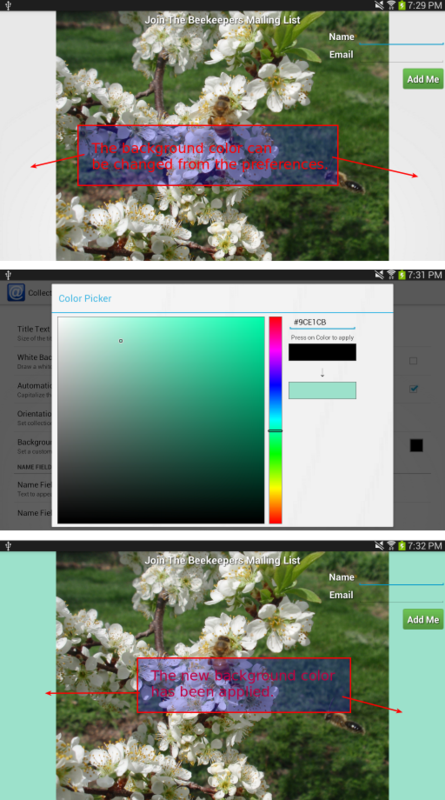 The screen shots below show what a list of names and addresses will look like in the app. The pick a random name feature is also shown. The list of names and addresses that signed up during the event. Pick a winner for the door prize. Email Sign Up (email collection app for Android) version 1.7 is now available on Google Play and Amazon. This app already allowed name and email collection. 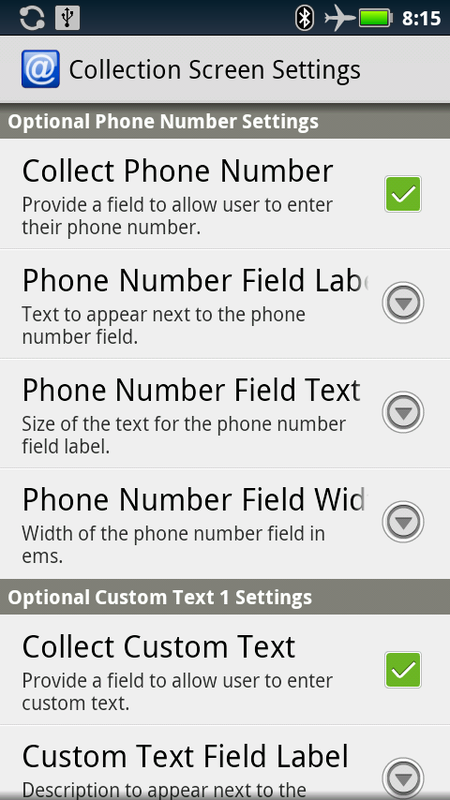 The latest version adds the ability to collect phone numbers as well as providing two additional customizable fields. 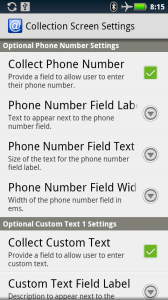 The phone number and custom text fields are optional. 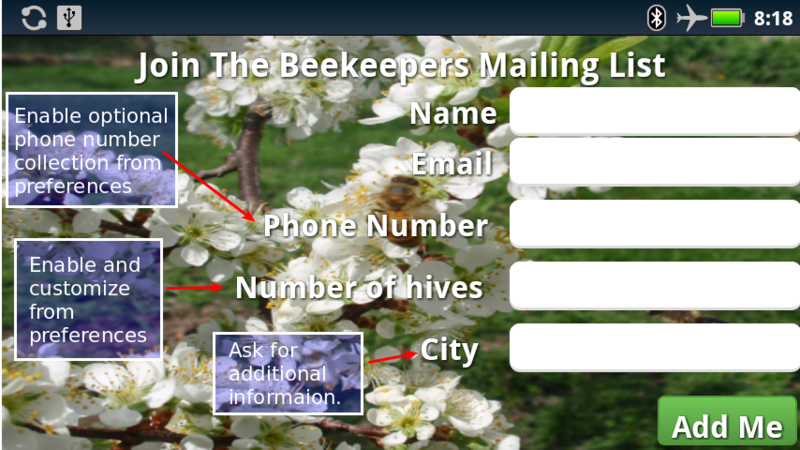 I have put together some screen captures to show the features in action using my bee keeping club example. The primary purpose of the app is to collect information in a computer readable format. 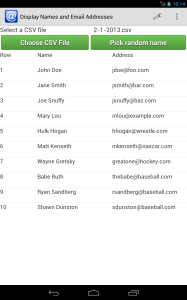 All collected data is written to a CSV file that can be imported into email clients, excel or email service providers. A vCard file can also be created. 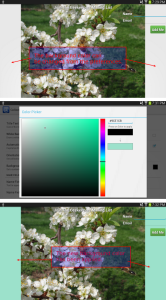 This allows contacts to be imported into the Android contact manager. In addition, email addresses can be added to MailChimp lists directly from the app if network connectivity is available. 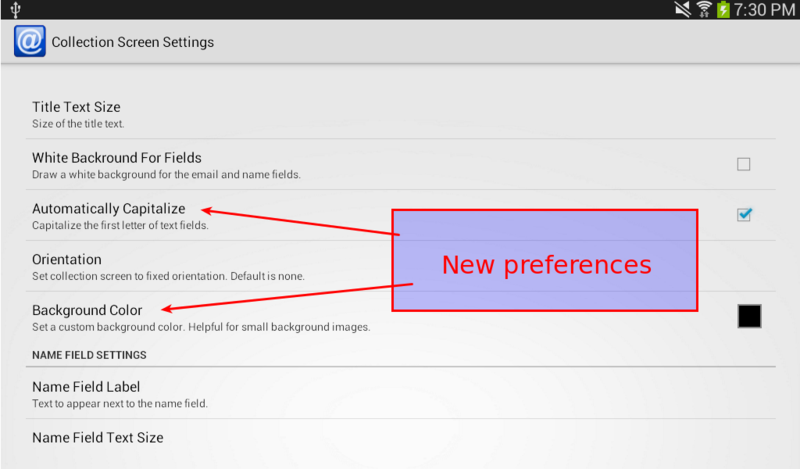 The above screen shot shows the email collection screen with all the optional fields enabled. 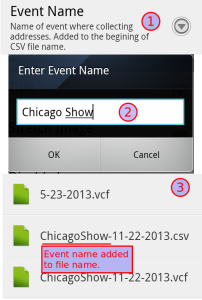 You can ask for phone numbers and they will be stored in the CSV file as well as the vCard file. The last two text fields will also be stored in the CSV file if they are enabled. 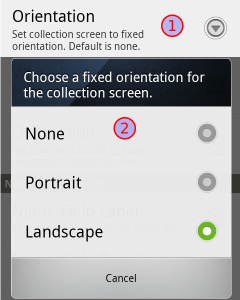 The screen shots below show how the optional fields are enabled and customized. 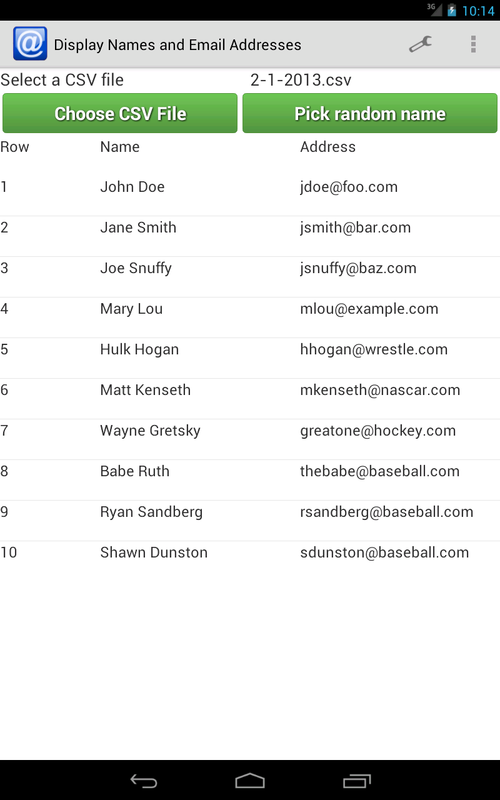 Once the fields are configured, the custom text will show up on the email collection screen. 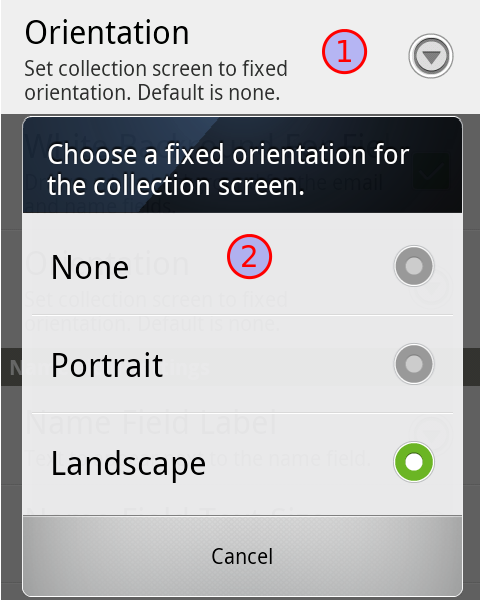 Touch theck box to enable the optional fields. Configure what information to request.